Hoarding utilizes a series of connected panels in order to hide construction. 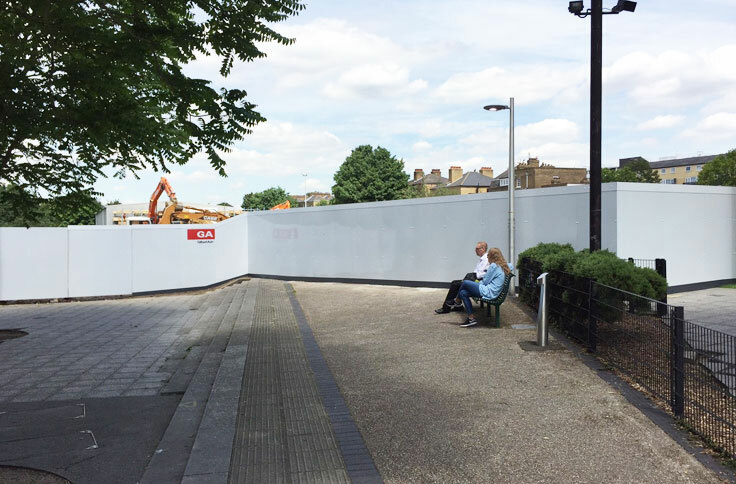 Often featuring photography of the upcoming development, hoarding can also feature a more natural approach where it blends into, instead of detracts from, the site. Hoarding can be interactive or have no content at all. 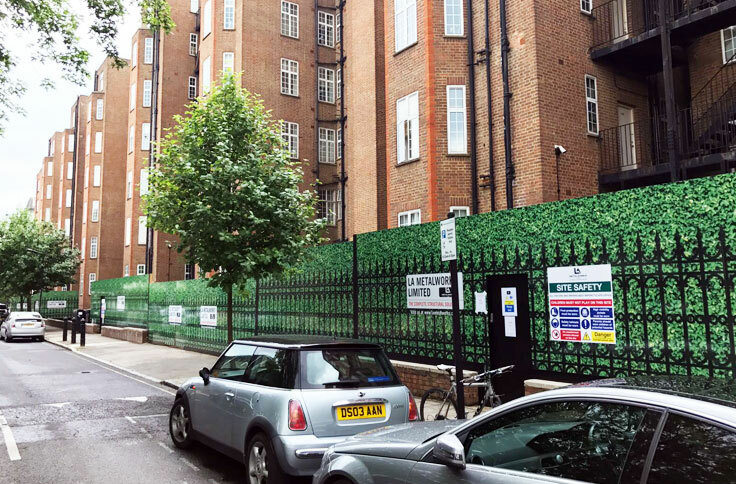 UK signage specialists Wallace Print have experience with all types of hoarding design both minimalistic and complex. 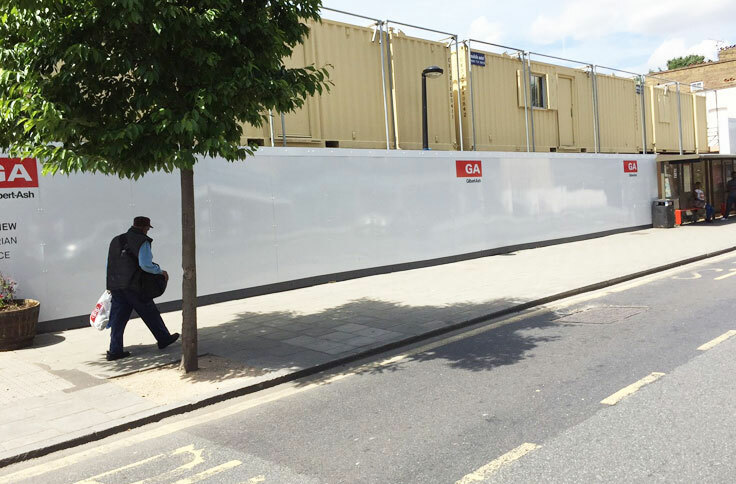 In an effort to create a “fresh and clean” hoarding design without being overly aggressive, the design team chose a very minimalistic approach using only white panels. The white Dibond panels feature only sporadic color bursts produced by red the Gilbert Ash logo. Occasionally, hoarding is used for non-construction purposes. 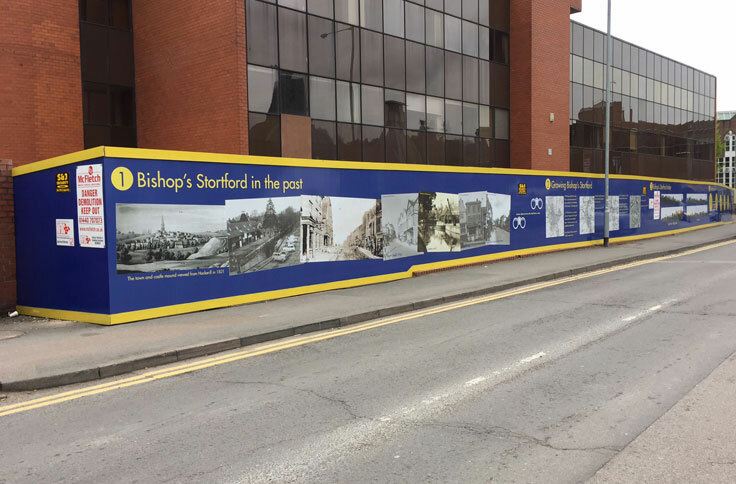 It can be used as a marketing strategy, as was the case in the Wallace’s Bishop Stortford area project. 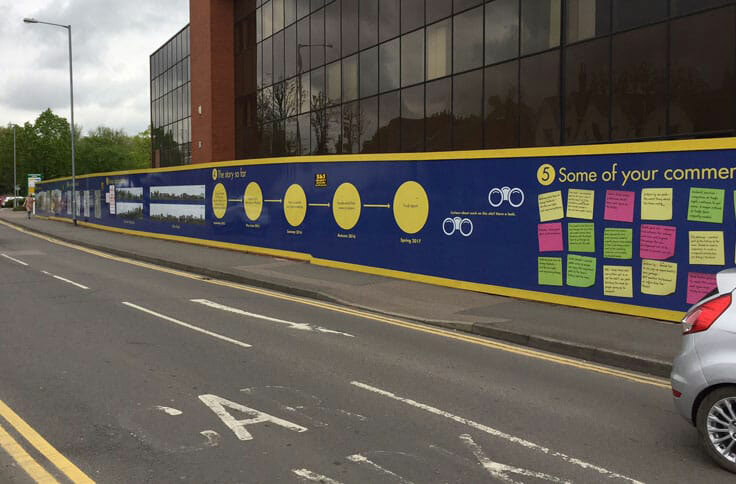 The hoarding features a historically informative timeline of the area, which is situated between two East English counties. 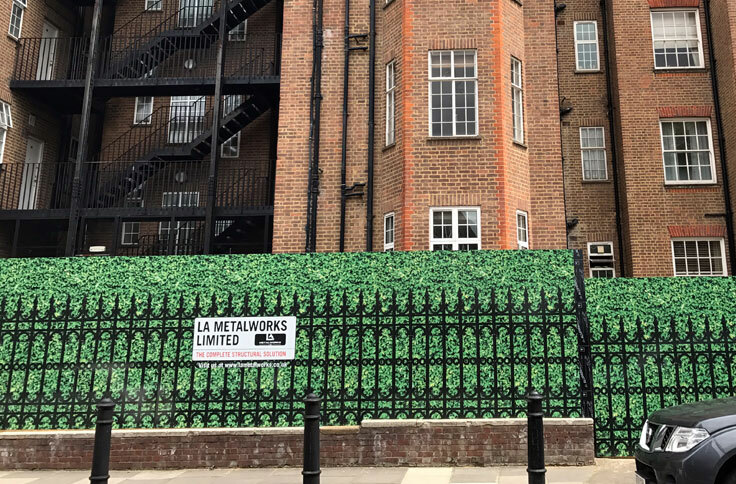 On the site of new residential construction in Central London, LA Metal Works commissioned Wallace Print for a “realistic impression iron fence and hedge scene” hoarding design. 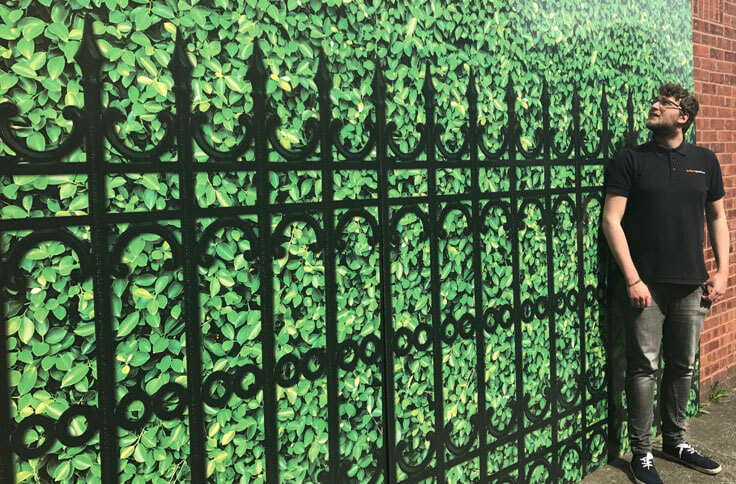 Interestingly, the designers at Wallace sourced the two-featured items, the fence and the shrubbery, as separate files before combining them into the finished product. Additionally, and adding to the project’s realistic focus, the designers added digitally printed signage onto the fences. The result is a three-dimensional hoarding system that blends right into its urban environment. All of these projects utilize Dibond aluminum composite printed direct to media using the company’s Acuity Advance HS Fuji Flat Bed printer.